A southern city is formally apologizing for its dark past. Charleston, South Carolina, has approved a resolution that condemns and apologizes for the centuries of human slavery that were supported and promoted by its former lawmakers. The city council's 12 members voted 7-5 to adopt the symbolic resolution Tuesday night, coinciding with "Juneteenth," the celebratory anniversary of the abolition of slavery in the United States. The port city played a major role in the Atlantic slave trade. Nearly half of the people who were abducted from their homes in Africa and shipped to the United States to be sold into slavery took their first steps on American soil in Charleston. Slaves made up almost half of the city's population before the start of the American Civil War, according to the International African American Museum in Charleston. "This is the modern city council which feels the need to make an apology for the institution of slavery in the city of Charleston," Charleston councilman William Dudley Gregorie, who helped author and shepherd the resolution, told ABC News in a telephone interview before Tuesday's vote. 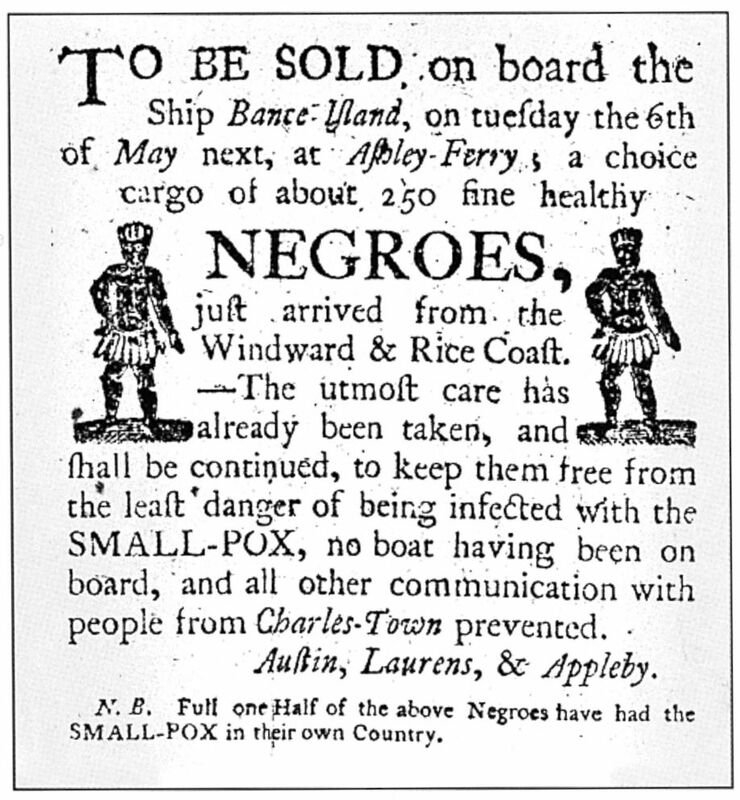 A newspaper advertisement circa 1780 announces the arrival of African slaves to the American colonies at Ashley Ferry outside of Charleston, S.C.
Gregorie, who is also a trustee at the Emanuel African Methodist Episcopal Church in Charleston, said the resolution is a long time coming and a testament to the power of collaboration. He did "extensive research to reach a draft" that was shared with his fellow council members. The councilman said he still can't shake the pain caused by the massacre at his church three years ago in which nine parishioners were killed. "We're trying to turn our pain into something positive," Gregorie told ABC News. "We recognize that people apologize by the way they live and they've given individually; it's not as if people haven't been apologizing through action." "This is the institution doing its part," he added. Bishop Robert Guglielmone of the Catholic Diocese of Charleston was among those who pledged support for the resolution. “Jesus loved, accepted and embraced all people. Their race, gender or nationality never mattered to Him. Our African American brothers and sisters have suffered greatly because of slavery and Jim Crow laws. This apology is an important step in healing wounds that are still evident, even today," he said in a statement. 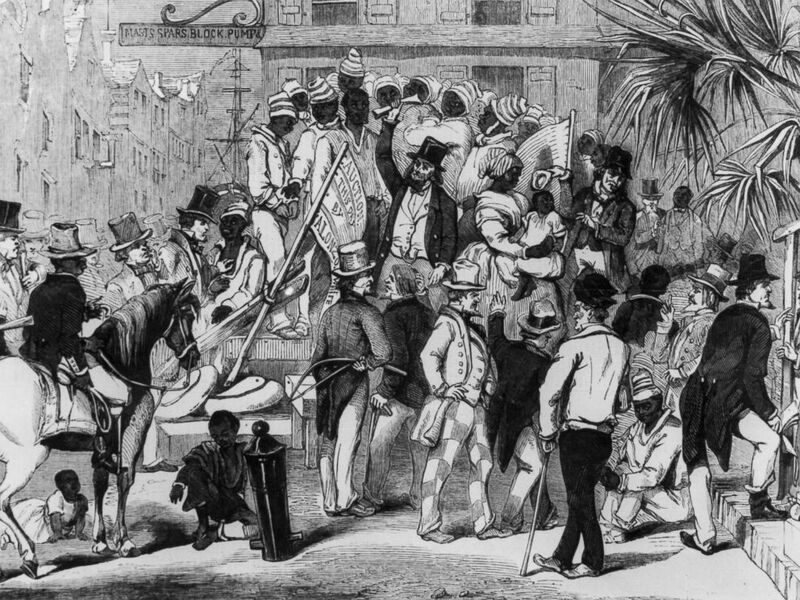 An engraving shows slaves being sold at auction in Charleston, S.C., circa 1860. The language in the three-page resolution explicitly takes responsibility for the "dehumanizing atrocities" that were condoned for hundreds of years. The resolution goes on to detail how the economic success of colonial and antebellum Charleston (formerly Charles Town) "was slave labor" and it prospered "due to the expertise, ingenuity and hard labor of enslaved Africans who were forced to endure inhumane working conditions that produced wealth for many, but which was denied to them." The document also admits to how the institution of slavery "sought to suppress, if not destroy, the cultural and social values of Africans by stripping Africans of their ancestral names and customs, humiliating and brutalizing them through sexual exploitation, and selling African relatives apart from one another without regard to the connection of the family." 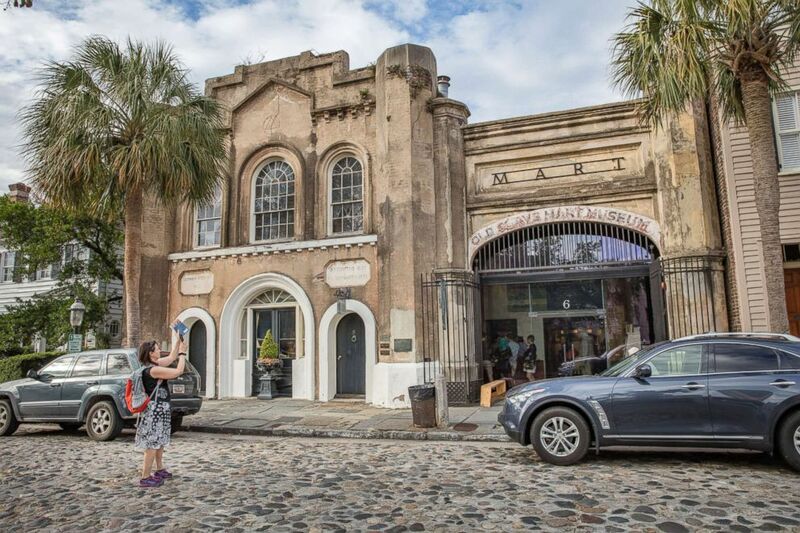 A woman takes a photo of the Old Slave Mart, known as the nation's last existing slave auction hall, in Charleston, S.C., Nov. 3, 2016. In the name of "basic decency," the resolution calls for the city to make a formal "acknowledgment and apology for its role in regulating, supporting and fostering the institution of slavery in the city and the past wrongs inflicted on African Americans here in Charleston and elsewhere." The document also lauds the "significant contributions" made to Charleston's community "by talented and skilled African Americans that are reflected in the agriculture, architecture, artisanship, arts, and cuisine of this City." "Certainly, the city fathers of Charleston have much to apologize for over the course of history for the treatment of African Americans," David Shields, an English professor at the University of South Carolina, told ABC News in a telephone interview Tuesday.